The Bornstein and Pearl Food Production Small Business Center is a redevelopment project in Dorchester’s Quincy Street Corridor. Led by Dorchester Bay Economic Development Corporation (DBEDC), Kaplan converted the vacant former Pearl Meats manufacturing facility and adjacent land into a 36,000 SF multi-tenant, light industrial business center with a focus on small-scale food production. CropCircle Kitchen, Inc. will run a multi-functional commercial kitchen that will foster the growth of local food businesses, create employment opportunities for residents, and facilitate improved access to healthy food in the immediate neighborhood. Kaplan’s renovations to the existing single-story masonry building included a new roof and entrance, structural repairs, extensive site work, the addition of a parking lot, and new utilities. 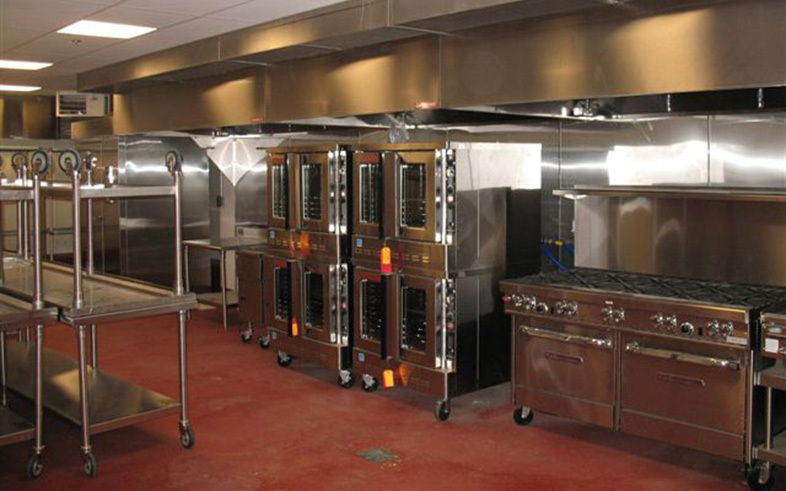 Communal kitchen equipment was rehabilitated or installed, and all of the spaces offer heating, ventilation, easy-to-clean surfaces, floor drains, grease traps, and shared loading docks. Kaplan was a true partner throughout this project, and we enjoyed working with them to revitalize a former factory into a light industrial business center with a focus on small scale food production. By co-locating multiple food producers, we will be able to leverage the overall impact of the project by providing opportunities for cross-marketing, bulk purchasing, sharing of office and administration space and staff as well as expensive equipment and building systems.